I’ve been getting a couple of private requests, so I’m starting a small graphics design shop! I will be honest and say I don’t do know much about coding and site building. But if you need a beautiful header, blog button, or some kind of teaser graphics – I’m your girl! I do not provide print bookmarks or business cards. The above are BASE PRICES. They cover a simple design with 1 stock image. Up to 2 revisions per design. Please note: I only accept Paypal payments. 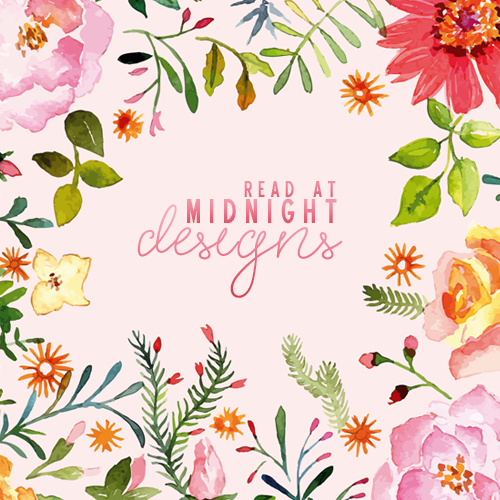 For all enquiries, please email me at readatmidnightreviews@gmail.com with the subject line Read At Midnight Designs. Alternatively, contact me on twitter. Pingback: Welcome to Quite The Novel Idea! !